The naming of the Los Angeles neighborhood of Boyle Heights in 1875 by William Henry Workman and his partners, Isaias W. Hellman and John Lazzarovitch, was in honor of Workman's father-in-law, Andrew A. Boyle, whose land was the basis for the community. Boyle's life was not particularly long, only fifty-two years, but he had a wide range experiences and adventures that took him from Ireland to Texas and, finally, to Los Angeles. If we think of the common thread of migration and immigration that links so many of us in the Los Angeles area, Boyle's immigrant story is certainly a notable example. Boyle (pictured above) was born 29 September 1818 in Ballinrobe, County Mayo, Ireland to Hugh Boyle and Maria Kelly. He attended school in Galway, south of his hometown, but his mother's death led his father to migrate to America to make a living, while the eight Boyle children remained behind. In 1832, all of the children sailed to the United States to find their father, which they were not successful in doing, so they divided. In Andrew's case, he stayed in New York two years working as a lithographic map colorist. When a group of Irish colonists migrated to Texas in 1834, Boyle joined them, settling in the Mexican territory at a place called, naturally, San Patricio, on the Nueces River between San Antonio and Corpus Christi. When the revolution started by Americans broke out, Boyle joined, in January 1836, the Texas Army. His unit was sent to Goliad, southeast of San Antonio, where that Spring, not long after the fall of the Alamo, it surrendered after an engagement with the Mexicans. Despite signed guarantees of their safety, over 400 Americans were shot execution-style, except for Boyle, whose life was spared because his sister and brother had housed a Mexican Army officer and his men at their San Patricio home during the conflict. Soon after, Boyle left Texas for New Orleans. For a time, he went on trading expeditions to Mexico and also owned a store near Shreveport. Somehow reunited with his father, Boyle then returned to open a store in New Orleans. On 31 January 1846, he married Elizabeth Christie, a native of British Guyana in South America. There were two children, John, who died at eighteen months, and Maria Elizabeth, born in 1847. Then, in the fall of 1849, Boyle, with 20,000 pesos to take to the eastern states, was attempting to board a steamer from a smaller vessel. The paddlewheel of the former caused the latter to capsize and Boyle lost his fortune and nearly his life. On hearing rumors that her husband had drowned, 23-year old Elizabeth Christie contracted brain fever and died on 20 October. After a short time, however, a boot and shoe manufacturer from Boston named Dunbar offered to give Boyle a stock of goods to take to San Francisco and open a wholesale store there. Leaving his young daughter behind with his wife's family, Boyle took ship to California via Nicaragua. His journal of this exciting adventure is in the collection of the Homestead Museum, though it ends shortly before his arrival in San Francisco. Within two months of arriving, a large fire destroyed Boyle's consignment and another shipment was sent from Boston. Later, Dunbar's son-in-law, Hobart, joined Boyle in the business. Finally, in 1856, Boyle and his daughter were reunited after five years of separation. In 1858, Boyle relocated to Los Angeles and, according to a 1919 account by his daughter, paid $4,000 to Jose Rubio for 22 acres, half on the Paredon Blanco or bluffs above and half in the flats adjacent to the Los Angeles River. It has also been said, however, that Boyle bought this property from the widow of Esteban Lopez. In any case, the vineyard had been planted in the mid-1830s to grapevines and the first grape crop Boyle harvested paid for the purchase of the property. He settled into an existing adobe house (built either by the Lopez or Rubio families), dug a well, added a windmill, and stocked about 75 head of cattle and horses. In 1859, Boyle bought 20 acres south of today's Fourth Street and planted grapes, oranges, walnuts, lemons, peaches and figs. Between 1860 and 1864, he built a brick house, the first east of the river within the city and included a wine cellar, because he'd just started making his own wine since under the name of Paredon Blanco. Meantime, Boyle also opened a shoe and boot store in addition to his farming enterprises. In 1866, he was elected to the Common (City) Council and served three one-year terms. At the end of the third term, however, in November 1870 he developed liver trouble. After dictating his reminiscences of the Texas Revolution to the Los Angeles Daily News, Boyle's condition worsened and he died on 9 February 1871. His account of his experiences in Texas were published four months later. 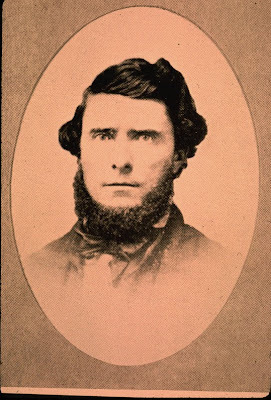 To the Los Angeles Star, Boyle was "remarkable for his integrity and conscientious discharge of the office [of council member]--being conspicuous for his defence [sic] of the rights of the people, and his opposition to everything that was not for the best interests of the community." To the News, though, he was "impusive in disposition, [and] he made many warm friends and also did not fail to secure enemies." An 1889 history of Los Angeles County included a biographical sketch of Boyle and in it was "the writer of these lines has only pleasant memories of his visits to the Boyle mansion . . . Mr. Boyle was of a very genial, social nature . . ." When his only child, Maria, who married William Henry Workman in 1867, inherited Boyle's property, her husband was sure to honor his father-in-law when the community of Boyle Heights was developed four years after Boyle's death. Almost 135 years later, few people in the neighborhood or in Los Angeles generally know anything about the namesake of this historic community. Happy Birthday Andrew Boyle you would have celebrated your 200th birthday on Saturday, September 29, 2018 - Best Wishes to all your descendants in California and specifically those connect with the history of Boyle Heights and El Paredon Blanco!